The Texas Supreme Court has just ruled, in a case involving a University of Houston professor, that the state’s whistleblower law does not protect reports of violation of internal rules and policies. 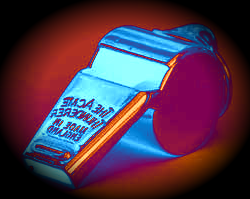 The Texas law already was narrower than the federal employee whistleblower law. This new ruling confirms that unless the rules being broken were adopted formally under a legislative grant of authority, the reporting of their violation is not protected. Finding one fatal bullet insufficient, the Court added that the case also should be thrown out because the professor should have known better than to believe what he reported was a violation of the law. While accepting the professor actually believed he was reporting something illegal, the court found that given his familiarity with the University’s rules and his former work as an attorney, he should have known better. Finding two fatal bullets insufficient, the Court went on to rule that he failed to meet the element of having made his reports to a “law-enforcement authority.” The University’s general counsel, the internal auditor, the CFO, and associate provost all got notice, but none had the authority to investigate or prosecute criminal violations of the law outside the university. The fact the party getting the report might have a duty to pass it on to law enforcement was found irrelevant. (1) Texas state and local government employees who want their disclosures to be protected should make sure what is being violated is actually law, not merely internal policy. (2) Reporting to law enforcement really does mean reporting to someone with a badge or the ability to prosecute. (3) While there are no blatant flaws in the Court’s reasoning here, keep in mind that overall odds of winning as an employee-plaintiff before the Texas Supreme Court continue to be only slightly higher than that you will live past 105. The fact the court was not content to throw the case out on just one ground and stop there, as usual rules of judicial restraint might call for, reflects a willingness by the court to ensure employers (especially government ones) do not spend a lot of time fighting battles in court with their employees. (4) If you are a Texas employer, you have just had another great day at the Texas Supreme Court (unless, as a taxpayer, you would rather we err on the side of encouraging government employees to blow the whistle). Impact? More Texas state and local employees will look the other way when they see something that appears improper, knowing the chances they’ll be protected if they report it have dropped another notch.